Join Tower Theatre in celebrating the legacy of Guthrie’s iconic Double Stop Fiddle Shop & Music Hall, which was tragically lost to a fire in February 2019. This concert in Oklahoma City features a special night of performances by local and national artists, all of whom have been impacted by Double Stop Fiddle Shop. For over 20 years, the Double Stop Fiddle Shop & Music Hall served as a collector store, music hall and museum dedicated to fiddling. Owner Byron Berline is a seasoned musician in his own right, and has been playing bluegrass fiddle music since the late 1960s. Berline filled the Double Stop with prize fiddles, mandolins and other instruments, hundreds of recordings and records by celebrated musicians, and many other important pieces of musical history. Come out to the Tower to support Berline's contributions to Oklahoma music and enjoy performances by the Red Dirt Rangers, Jana Jae, The Bonhams, K.C. Clifford, Alan Munde and many more. This night will also include a silent auction and a full bar. 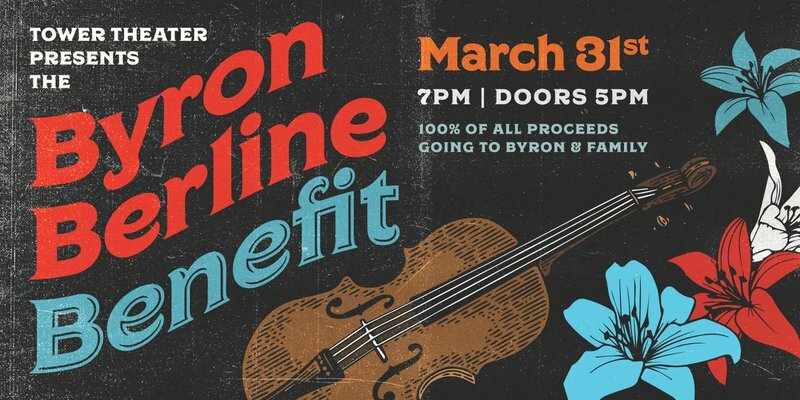 Byron Berline himself will perform with his band, so don't miss this memorable one-night performance as a music community unites in OKC. Doors and silent auction: 5pm.